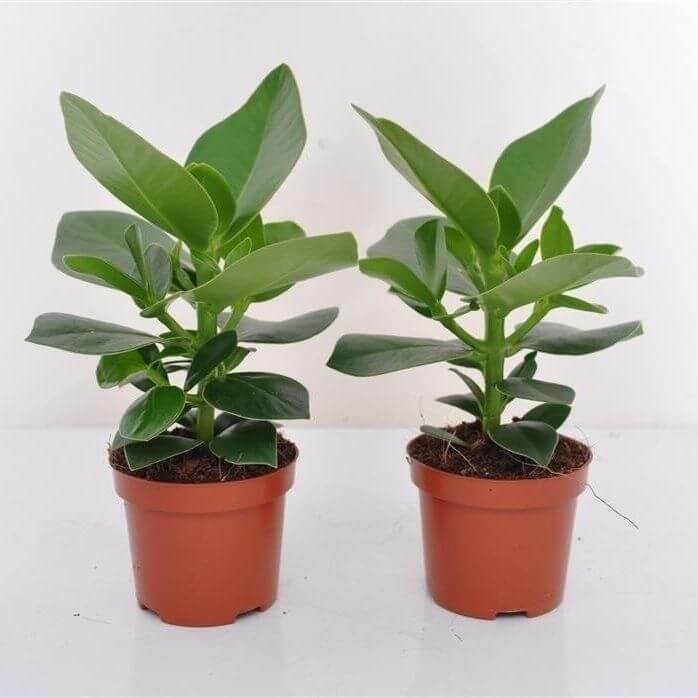 Clusia rosea is an evergreen, ornamental shrub to small tree. It has dark green obovate leaves, simple and opposite arrangement, measuring about 8 – 20 cm long, margin entire, scars remain when the surface of the leaf is scratched. It has pink and white colored blossoms. The autograph tree produces a fleshy, light green fruit. Fruits are not edible and are considered to be poisonous. The upper leaf tissue registers writing giving it the common name autograph tree. It is a very hardy plant to be used indoors. Synonyms: Clusia retusa, Clusia rosea var. colombiana, Elwertia retusa, Firkea rosea. Common Name: Autograph tree, copey, balsam apple, pitch-apple, and Scotch attorney. Clusia rosea like lots of bright light and flourish outside in full sun in tropical climates. Grown indoors as houseplants, they will cope with medium light levels and some degree of shade. It grows best in a soft and loose soil, rich in organic matter, well drained, excellent is a balanced universal fertilizer and mixed with a small amount of soil for orchids. It prefers an average to warm household temperatures between 16 degrees Celsius – 29 degrees Celsius are ideal and will not tolerate cooler temperatures below 10 degrees Celsius. Clusia rosea enjoy high humidity levels. Place on a shallow gravel tray filled with water and mist regularly. A spell outside in warm summer rain or a session in the shower works wonders. Water thoroughly, during the growing season. Keep the soil evenly moist but never allow the plant to stand in water. Reduce watering in winter, but do not allow the soil to dry out completely. Fertilize your plant every two weeks during the growing season (from spring to early autumn) with a balanced liquid fertilizer diluted by half. 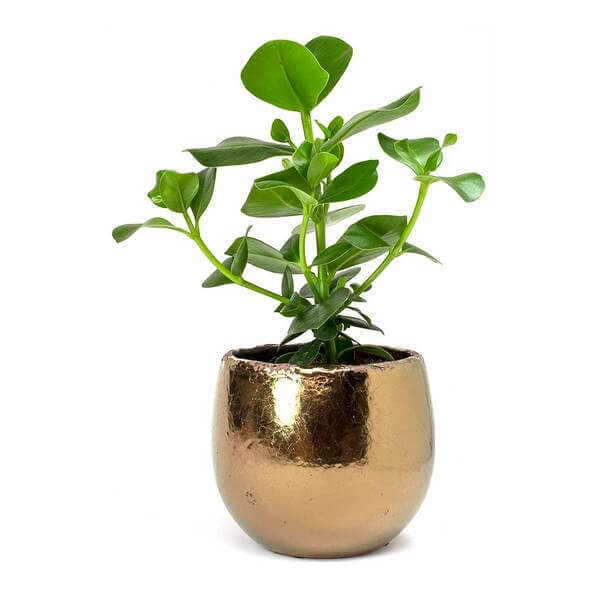 It can be easily propagated by seeds, stem cuttings or air layering. To propagate by cuttings, simply sever the stems and replant in the warm wet soil to allow them to root. prune the aerial roots and unwanted branches to keep the plant in shape. Pruning is also required to develop a strong structure. There is no serious pest and disease problem. It is sometimes attacked by scales.